American Association for the Treatment of Opioid Dependence, Inc.
National Alliance for Medication Assisted Recovery, Inc. It is unfortunate at a time when the opioid addiction and overdose epidemic continues at its height that any legislation would become law which focuses on a criminal justice system response to a medical illness and public health crisis in lieu of a more appropriate and effective medical and health-centered response. While we have been public about our hopes that Governor Bill Haslam (R-TN) would veto Senate Bill 1391, we understand that the governor was well meaning in his decision and unfortunately has not been given advice based on the vast body of research and medical knowledge surrounding the chronic disease of addiction and its medical treatment that spans more than half a century, whether with FDA-approved medications or in abstinence-based approaches. 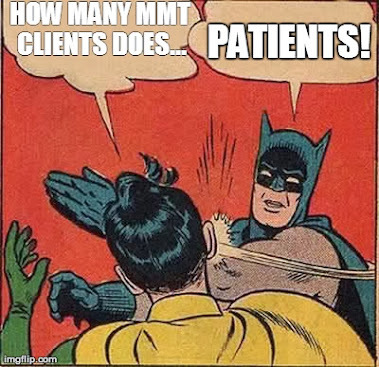 As the representatives of patients currently enrolled in medication assisted treatments (MAT) for opioid dependence with methadone, buprenorphine or naltrexone and their providers, we concur with Rodney Bragg, assistant commissioner of the Tennessee Department of Mental Health and Substance Abuse Services (TDMHSAS), in his assertion in comments published in the April 21, 2014 edition of Alcoholism and Drug Abuse Weekly (ADAW) that pregnant women enrolled in medication assisted treatments would be immune from criminal prosecution under the new law as long as they remain enrolled in treatment. It continues to trouble us that the Department of Health and TDMHSAS has no influence over prosecutors when they have medical research demonstrating effectiveness of treatment. Under the new law the possibility remains that individual prosecutors could attempt to bring charges against pregnant women enrolled in MAT who deliver babies that show signs of neonatal abstinence syndrome (NAS), an ephemeral and treatable condition. The fact there is no specific exemption for women enrolled in MAT who do not test positive for any illicit substances is frightening. 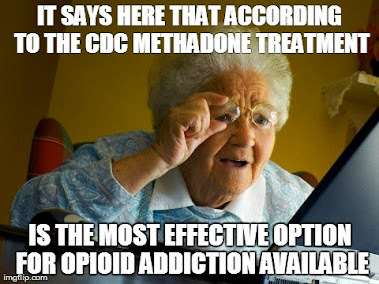 The National Institutes of Health (NIH) has deemed medication assisted treatment with methadone, specifically, the "gold standard treatment" for opioid dependence and has gone further to deem is the official "standard of care" for pregnant opioid dependent women. This law could leave open the possibility for women to be criminally prosecuted for seeking and obtaining the medical treatment for their disease that is the medically accepted standard of care and most responsible decision they could make for the healthy development of their unborn babies. This bill has been signed into law in the State of Tennessee at a time when sixteen (16) United States Senators recently sent a letter on April 10, 2014 to United States Attorney General Eric Holder encouraging the use of FDA-approved and efficacious medications like methadone and buprenorphine in the treatment of opioid dependence in the criminal justice system. There are currently more than one hundred (100) opioid overdose deaths a day, and Eastern Tennessee, specifically, has the second highest opioid overdose death rate per capita in the entire nation. This bill, now signed into law, could discourage opioid dependent pregnant women from seeking what the Centers for Disease Control and Prevention (CDC) has made clear is the "most effective treatment" during an era of an opioid addiction and overdose epidemic when we should be doing everything possible to expand and encourage enrollment in evidence based medical treatments. We stand with TDMHSAS in their position that women enrolled in medication assisted treatments for opioid dependence are exempt from criminal prosecution under this law, and we encourage state and local authorities to look first and always to science and the evidence base when dealing with opioid dependent individuals. 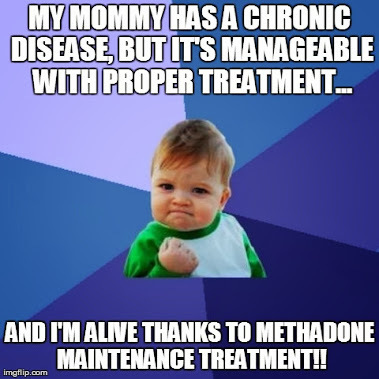 National Alliance for Medication Assisted (NAMA) Recovery, Inc.